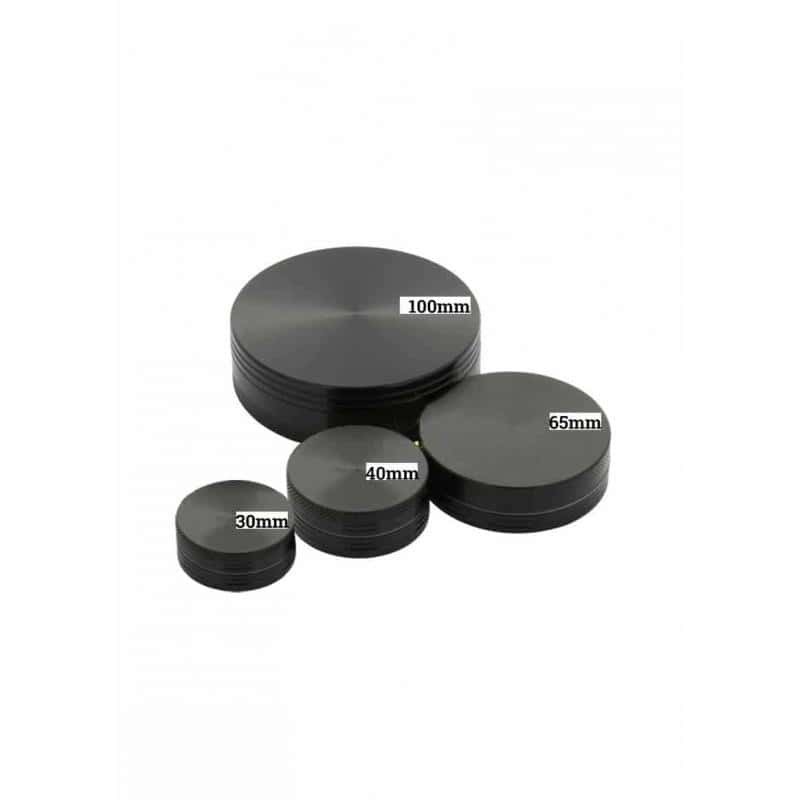 This Aluminum Grinder is made of 2 pieces with different tints available, it has ultralight magnetic blades and harbors a protective rubber. It does not include a pollinator mesh that separates the resin. 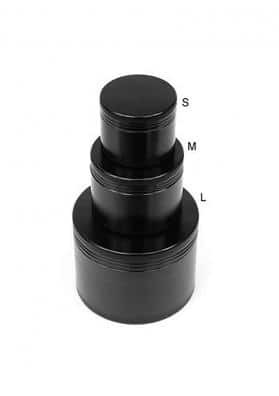 These aluminum grinders of two pieces are very cheap, a great choice for those that do not have much money. 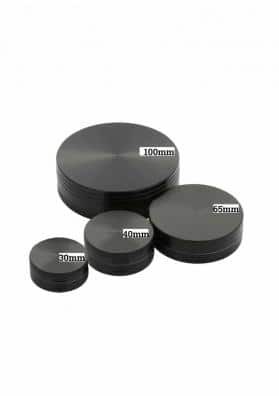 Made of aluminum, these grinders are extremely light and do not carry any inscription that labels them. They have almost the same extras that Grassleaf have, that is, magnetic knives, the only thing missing is the rubber. 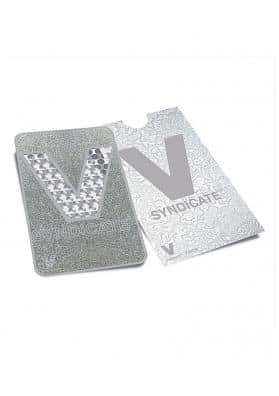 We have them in a strain of tints like green, blue, red, black and silver and also with models of 30, 40 and 100 mm sizes, suitable for all budgets.